The epitome of any Chinese feast and something that sets a good Chinese restaurant apart from a great one is the iconic Peking duck. A treat for the whole family, this delightful dish is loved for its crackly skin and tender meat that overwhelms the palate—in a good way of course. Complete with the addition of hoisin sauce, sliced cucumbers and scallions before being wrapped in a thin crepe, Peking ducks that are well executed always boasts a delightful crunch on the first bite, followed by an addictive tenderness and flavour which takes your palate to a magical place. It’s no wonder this dish is regarded as China’s national dish. Given its culinary complexity, not all Chinese restaurants serve Peking duck, but if you know where to look, then enjoying this dish on a regular basis need not be so hard. 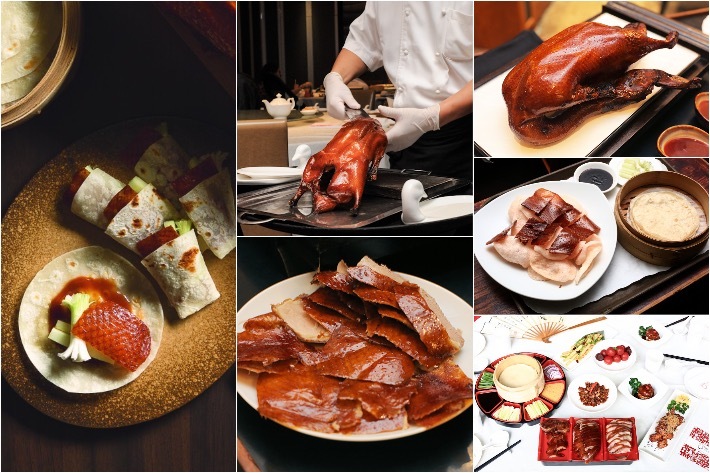 Here is our list of the best Peking duck restaurants in Singapore. Whether you crave chicken that’s baked, fried or smothered in ice cream (yes, we’re serious), Oven & Fried Chicken has it all covered. 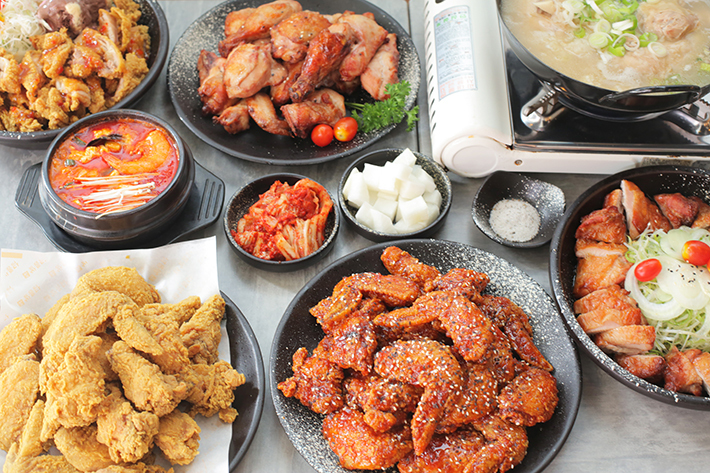 Expect to tuck into a splendid array of crispy-beyond-belief Korean-style fried chicken, tender baked chicken as well as a fine selection of Korean traditional side dishes. Located along Tanjong Katong Road, this humble Korean fried chicken joint may not seem like much from the outside, but truth be told the chicken we had here were some of the best we have ever tried in Singapore. What’s not to love about Japanese tonkatsu? It may not be the healthiest food option around but it sure hits the spot every time. 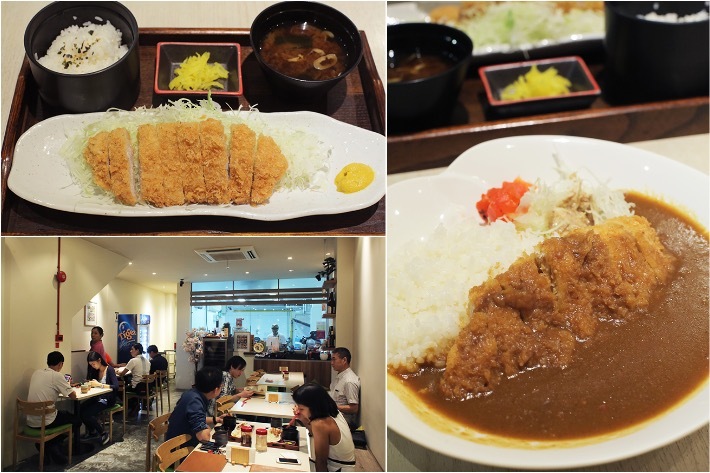 We simply adore tonkatsu whether it’s stuffed with melty cheese, drenched in Japanese curry or simply on its own. For the uninitiated, Tonkatsu is a Japanese dish which consists of meat that is breaded, deep-fried to golden perfection and usually served with rice and shredded cabbage. The most common tonkatsu is pork tonkatsu, with the fillet and the loin being popular cuts to choose from. 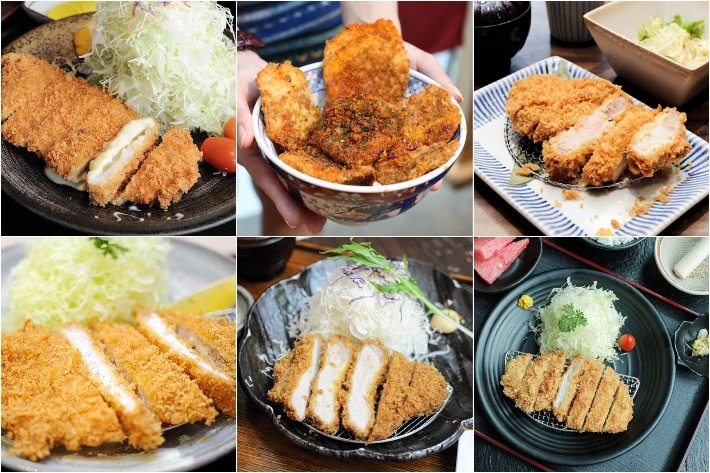 For the love of all things breaded and fried, that boasts a crunch and succulence like no other, here is our list of 10 best tonkatsu restaurants in Singapore. Located in Oxley Bizhub—just a short walk from Tai Seng MRT Station—Yamato Izakaya is a melting pot of three Japanese dining concepts under one roof! Featuring the likes of famous unagi restaurant, Man Man, Ramen Hitoyoshi and Tora Tora, this restaurant is on its way to becoming a stalwart for local Japanese dining in Singapore. Beloved for their fresh and modern renditions (and generous portions) of grilled Japanese eel, Man Man’s unagi dishes is a definite must-try. But be sure to save room for Ramen Hitoyoshi’s signature ramen as well as the vast array of sushi and donburi options courtesy of Tora Tora. Yamato Izakaya is no doubt one spot to visit should you find yourself hankering for authentic, rock-solid Japanese food. On Saturdays, parking on site is free so that’s another plus point if you’re thinking of paying this restaurant a visit for a hearty family lunch. Located in far-flung Punggol East lies a hip foodie enclave formed entirely out of containers that are used to house interesting bars and bistros. Each of the seven container-restaurants you can find there boasts its own type of speciality cuisine. 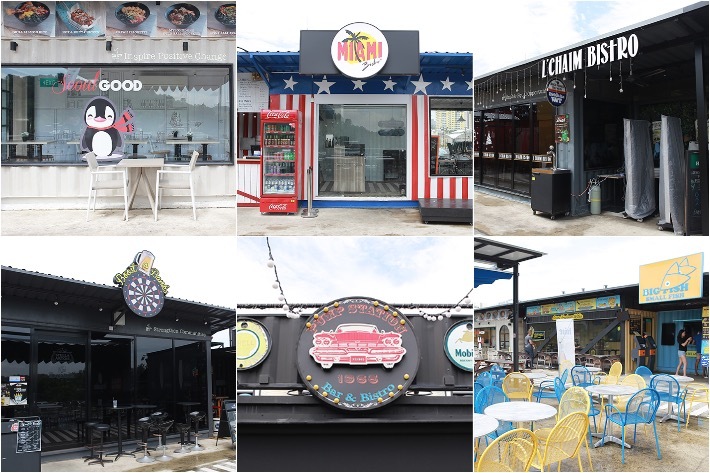 Whether its crispy fish and crisps you are craving for, a good ol’ BBQ stingray or even Korean fried chicken, there is bound to be something that will tempt your taste buds over at the Punggol East Container Park. For all of you BTO-dwellers living at the far end of Punggol, here is a list of what you can expect at Punggol East Container Park. If you love authentic Chinese street food fresh out of the markets in Shanghai or even Szechuan, then boy do we have a treat for you. 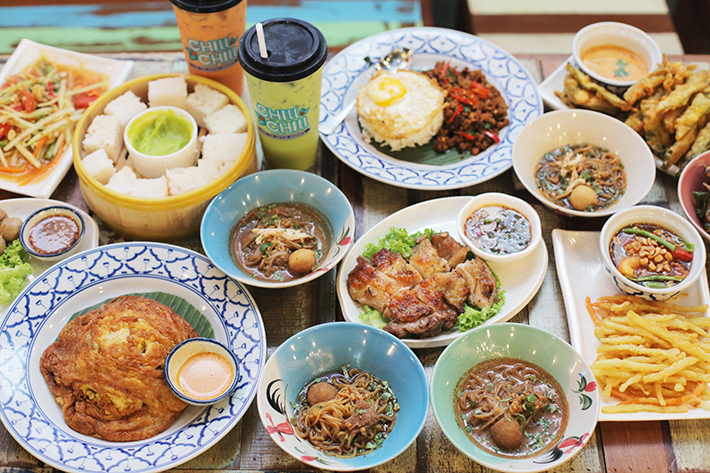 Newly opened Mr Sheng Jian located along Liang Seah Street dishes out a myriad of Shanghainese-inspired food with a modern touch. Their sheng jian baos are just the perfect little tummy fillers and come in a variety of innovative flavours such as cheese and kimchi. Their noodle dishes, on the other hand, although not the best we’ve come across, do give you a sense of warmth from the spicy broth.